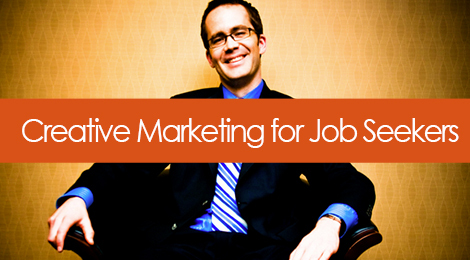 Do Creative Marketing Tactics Work While Searching for a Job? Do Creative Marketing Tactics Work in the Job Search? At least once a week I read about someone’s creative promotional approach to marketing themselves as a job seeker on Mashable, Tech Crunch, or the like. Whether it’s a funky info graphic resume, a physical promotional package, or an innovative digital portfolio of some kind, many of them are legitimately cool and sometimes successful (like this one), and others more closely resemble reincarnations of someone else’s work. Such is the case with the recycled tactic of adopting popular web interfaces as the framework for your resume, such as Google, EBay, Craigslist, and others. Just, don’t. It was a creative approach the first time someone did it, and perhaps its positive receipt by the masses was more because of the well-executed graphic design than the actual content selling the candidate. This is where people go wrong: you’re not running a colorful, visual advertising campaign for Oreos; you’re running a promotional campaign for you. Oreos has a well-known brand presence and value proposition to their audience that has existed since the earlier days of Nabisco. They can get away with little content and more creative visuals – in fact, it makes sense for their brand and the way their marketing message is received. People don’t know you, or your brand, and with that being the case, fancy visuals are not going to replace the value provided through strong content that communicates who you are, what you do, and what you bring to the table. So taking a creative promotional approach in your job search needs to be done with a balance of good positioning, relevance, and clarity of intentions. Your creative approach should read less like a gimmicky promotion, and more like a demonstration of how you combine your skill sets with ingenuity. People screw up the whole creative marketing thing because often they’re creating nothing more than a temporary diversion, rather than a lasting impression that positions your brand the way you want to be received by potential employers. The “wow factor” might draw them in initially, but is it memorable, or simply distracting? Bring attention to something other than just yourself – like the fact that you put together a really seamless, professional-looking video, or intuitively-designed packaging housing your materials. Good marketing isn’t just about attention – it’s about connection and engagement. You can’t expect someone to entrust you with representing the brand reputation of their organization if you don’t paint your own brand in a credible, professional, unique light. Think about what really matters to the company. Your resume stuffed inside a giant fortune cookie might be an attention-grabber, but what does that have to do with the fact that you’re appealing to a rapidly growing gaming company? There needs to be a connection between your promotional approach, and the message you’re trying to send about yourself as a candidate. Creativity done right communicates a strong component of relevance. A former recruiting colleague of mine once solicited a major advertising agency who had recently won a major beer account. She wanted to earn their business by showing the type of high-caliber creative talent we represented, but wanted to avoid the old tactic of blindly sending resumes. So she showed up at their office with a case of their new client’s beer, and inside each of the [empty] bottles, was the resume of candidate who reflected the skill sets they’d likely need in staffing up a new team to work on the new account. It worked. What is your end goal for the project? Most people would say, “Well, I want them to call me in for an interview”. But think about the process from getting from A to B – from your initial concept, to securing the meeting – what has to happen in between? Perhaps the goal is get their attention and set the stage for when you follow up by phone 3 days later. Or, perhaps it’s to get the attention of the hiring decision maker, instead of submitting your application through a generic jobs@CompanyX.com HR inbox. This will help you narrow down who your audience is, how to get their attention, and how to send a message that carries real value to them. This will be way more effective then reaching out to anyone and everyone at the company who will listen, and hoping it makes its way to the right party. I work with a large number of folks in advertising, marketing, and sales, and they consistently agree that while they can promote some of the world’s most prominent brands, they struggle endlessly with marketing themselves. Why? Because marketing yourself feels like an act of drawing attention, because we’re trained to respect modesty as human beings, and good marketing isn’t just about drawing attention. Effective marketing is relevant, it’s not gimmicky, it has a purpose and an intended end goal, and you can use that same thought process to market your own personal brand as a job seeker in the same manner that professional market major brands and businesses. Have you used a creative tact that helped land you a job or interview? Share with us in the comments. Tags: career, communication, job search, marketing, networking, social media. Bookmark the permalink.